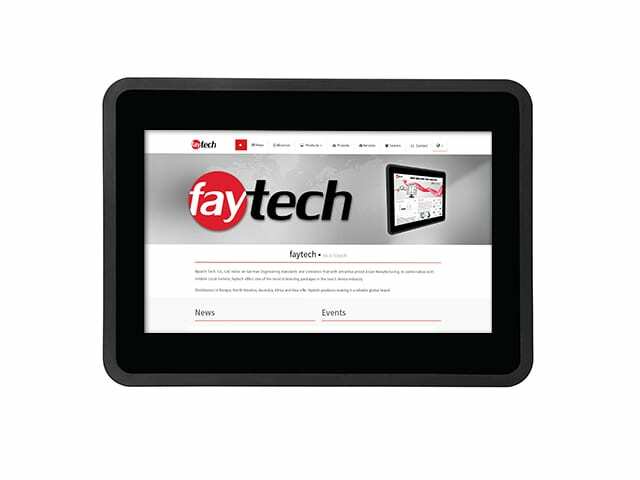 faytech North America’s Capacitive Touch PCs are designed to operate silently and are manufactured with a reliable, fanless specifications and superior craftsmanship to stand out among the competition. 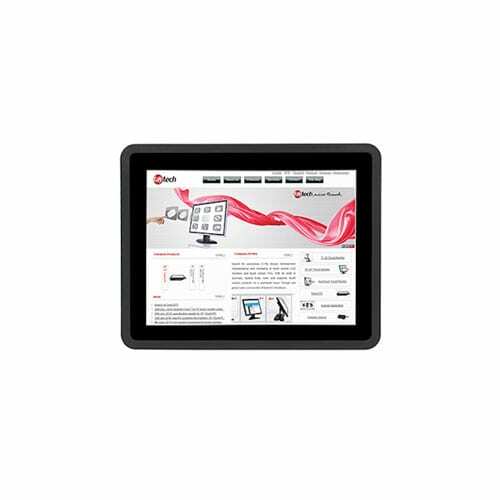 Our industrial and commercial touch screen computers ship with a flat edge-to-edge IP65 display that is both waterproof and dust proof. The back of the PC is made from continuous casting aluminim with sturdy VESA-100 fixation bolts and VESA-400 fixation bolts for the 32″ and larger touchscreen PC. 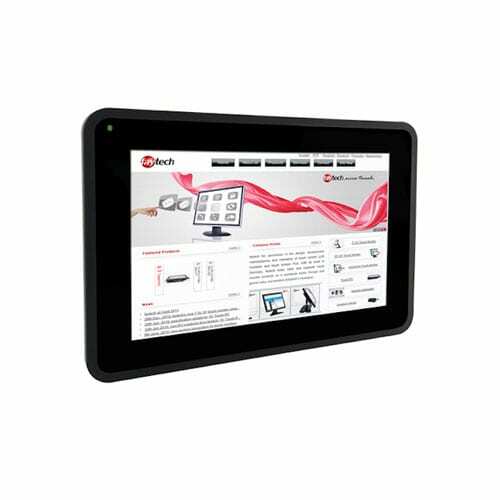 Our capacitance touchscreen PCs are an excellent option for a broad spectrum of use cases: commercial POS systems, industrial control interfaces, kiosk control systems, commercial automation systems, digital signage controllers and in a variety of industries such as manufacturing, retail, hospitality, restaurants/bars, entertainment, logistics and much more. 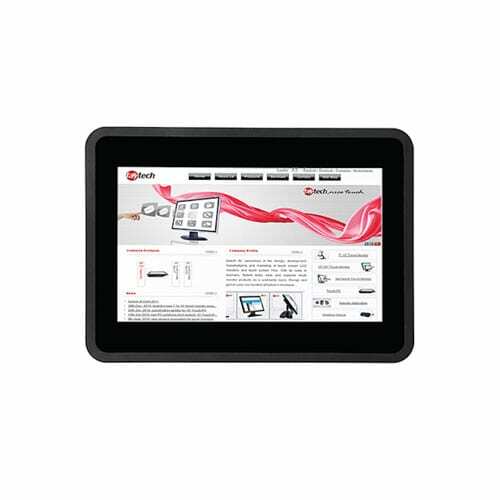 Capacitive touchscreen computer solutions have become an integral part of many industries. From simple MP3 players to the latest smartphones, LED TVs and industrial PCs, touch assistive technology has taken become a part of most industries across the globe. 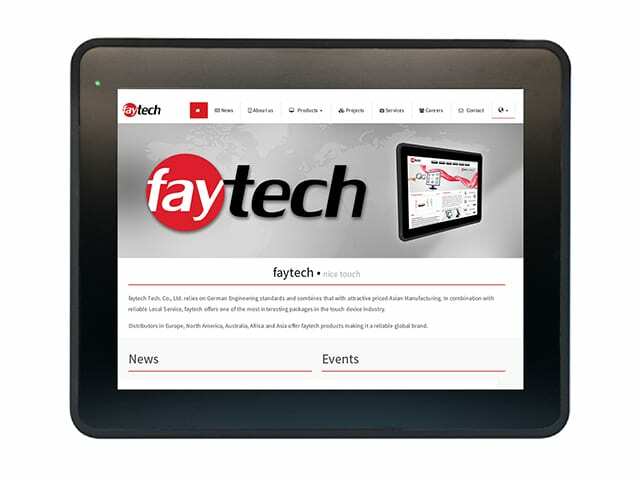 faytech North America has created innovated solutions that utilize touch technologies for all-in-one touch PC systems. How are capacitance solutions being used in large touch screen computers? 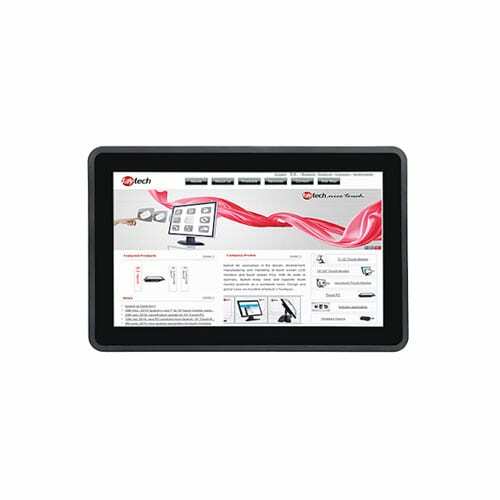 A capacitive touch screen monitor is a type of screen which makes use of the body’s electricity to create a signal on an electronic device. The integrated processor picks up this electric interference and translates it as a signal of interactivity. After having computed the interaction, the system architecture comes up with a response recognizable to the human eye through the screen. All electronic devices, such as ATM machines, interactive kiosks, 3D TVs, smartphones and game consoles that rely on this technology use a similar manner to function. Such computers are an interactive and user-friendly solution that can be used in a broad range of industrial and commercial applications. 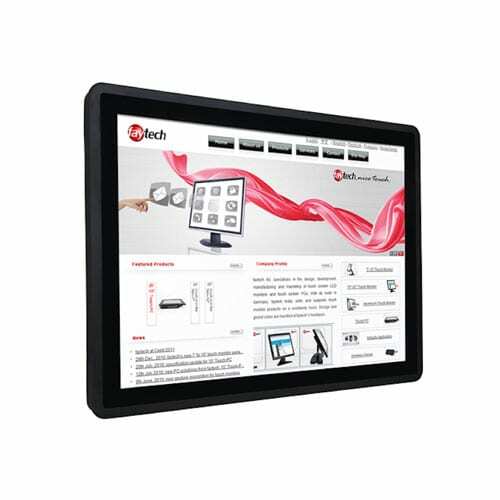 Not only is it easy to use a touch interface but when properly integrated into a system of solution, it makes up an excellent option to attract even the most reluctant technology users. How many times have you seen an older person complaining about some new technology that has just gone too long a way for him or her? 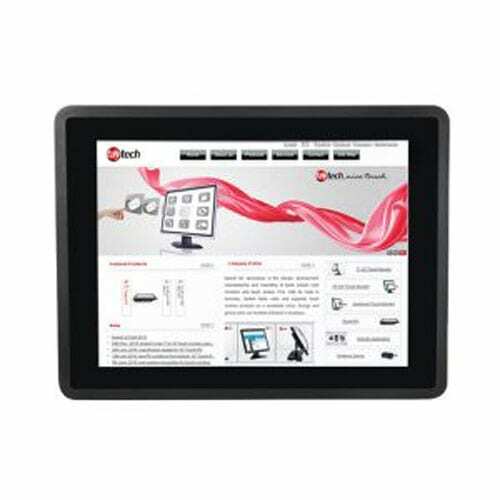 This rarely occurs with touch panel PC technologies that are combined with well-designed software solutions. The interface make use of the oldest, innate, human tool – the fingers, to perceive and produce an accurate and rapid response in a computing environment. In all likelihood, the last time you went into a franchise, you probably passed by – or even interacted with – a touch panel desktop PC. World-leading organizations have begun to almost completely use touch-assisted displays because of their accessibility and reliability. 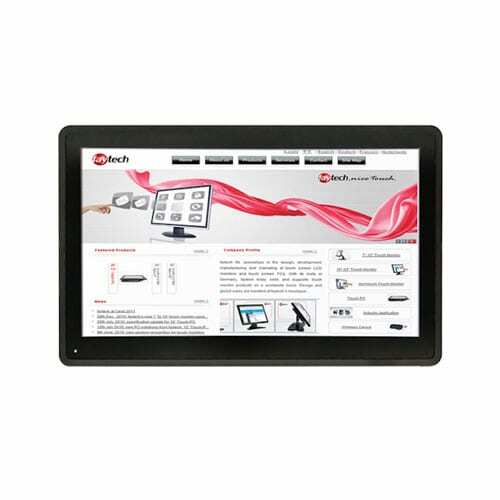 When comparing capacitive screens with resistive monitor screens, the major difference is that capacitance touchscreens cannot work if a person is wearing gloves. The screen rely on the electrical impulse the body delivers when pressed against an electricity-sensitive device. On the other hand, resistive screen work when triggered with pressure on the surface, not with an electrical pulse. A gloved hand, like what might be used in a research facility, laboratory, medical setting or clean room, works with resistive screen because gloves do not prevent pressing, but they do prevent electricity from being passed onto the display. 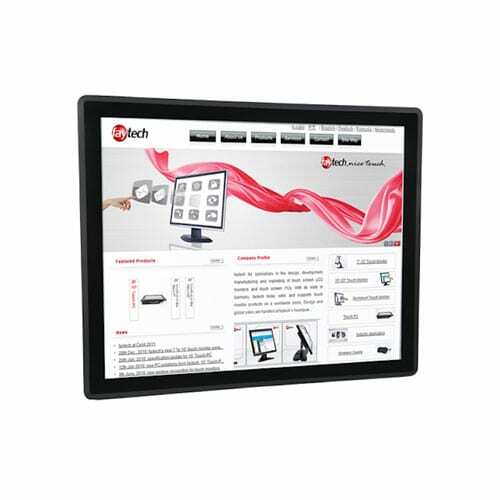 Capacitive touch screen desktop PCs can be used for anything. Scientists have been able to make them work in every conceivable environment: at home, at work or even in outer space. With our all-in-one PCs, your business can be at the forefront of your industry in terms of production, performace and results. 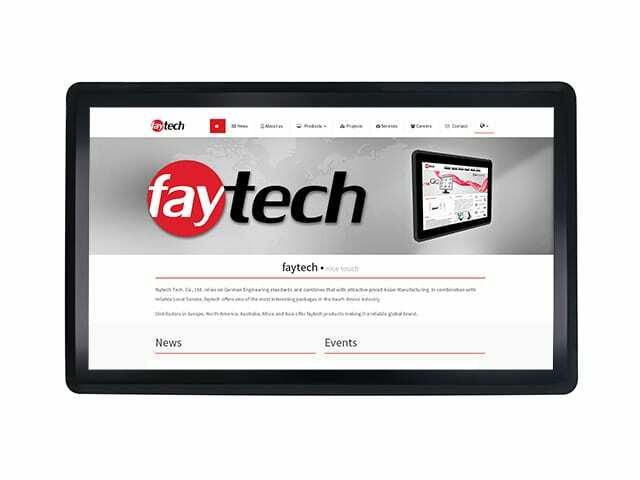 faytech North America computer systems are affordable, innovative solutions that are streamlining processes and cutting-costs in many organizations, businesses, and industries. 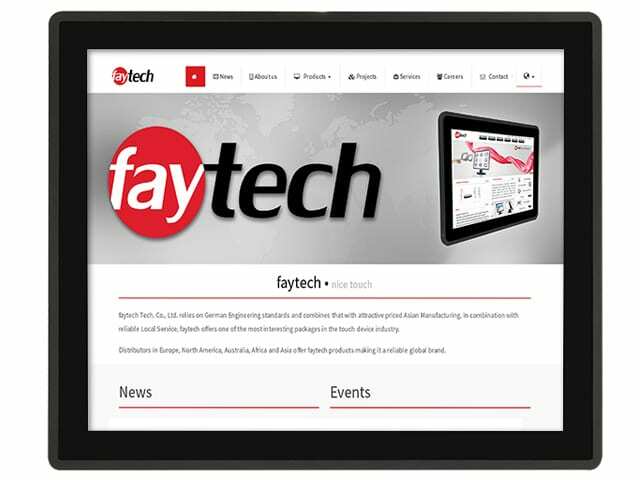 At faytech North America, we believe in progress. We are committed to providing cutting edge touch solutions that suit our customer’s needs. We understand that businesses, shops, laboratories, factories, facilities and organizations must keep up with research and production, and we offer solutions accordingly. Contact us today and speak with one of our capacitive touch specialists regarding your specific needs.